也太危言耸听了吧? 62万亿CDS? 美国家庭均收入为6万不到, 有1亿个家庭, 难道每家都摊到10年以上收入的CDS? 公司借钱吧, 62万亿是美国十年的GDP. GM一年Revenue有一百多Billion $, 也没听说GM借贷一百多Billion $. I can't see anything by the link. When you are free a bit, Brother Zhu, could you help type in some Chinese abstract about this. I am interested. This is strange. I can see the video on my laptop but not desktop, using the same web link. I don't understand it. You are IT person and should know better than me what is going on here. Which software? It seems to open QuickTime automatically but then hang on there and nothing happens. here is the software, install it and you can view it. Which software? It seems to open QuickTime automatically but then hang on there and nothing hapens. I now can listen to it but still cannot see it. Why? The sharp and nerve-straining falls in share price on Wall Street last night and in Tokyo today are damaging to the wealth of many, especially those saving for a pension. But it's as well to remember that they are the symptom of the disease, not the disease itself. The underlying illness remains in the financial system, as manifested in the record amounts banks were charging each other yesterday for lending to each other for three months. One serious anxiety concerns the auction today to settle liabilities on insurance - or credit default swaps - on debt of the collapsed investment bank, Lehman Brothers. As I noted a couple of weeks ago, there are estimates that claims under insurance contracts will total $400bn. Sandy Chen of Panmure was one of the first to highlight the scale of this looming problem. If demands for payment are as big as $400bn, there will be pain for banks, insurers, hedge funds and other financial institutions. For every winner in a claim, there is a loser, the underwriter who has to divvy up. And if the underwriter lacks the resources to pay - which may turn out to be the case in this under-regulated market - that creates two losers: viz the bust underwriter and the claimant which doesn't get the money on which it was counting. And if that claimant had been calculating its own financial strength on the basis that it had insurance against its Lehman debt, well then failure to receive payment could shatter the integrity of its balance sheet. Which in turn would create potential losers among its creditors. So this day of reckoning on Lehman credit default swaps is momentous - and it could not come at a worse time for fragile bank shares. The fall in Morgan Stanley's share price yesterday was a remarkable 26%, on the back of various nebulous rumours and as Moody's said it was reviewing Morgan Stanley's credit rating for possible downgrade. There was also a doubling in the credit-default-swap price for insuring Morgan Stanley's debt: there was contagion from this opaque market to the more transparent stock market. But probably more urgent is for the US Treasury Secretary to decide how and whether he will inject US taxpayers' money into banks to recapitalise and strengthen them, along the lines of what the British Treasury is proposing to do. But he "only" has $700bn to play with, which no longer looks that enormous in the context of the $400bn claims that may be enforced in just the next, anxiety-inducing few hours. 美国有一句话：If it looks too good to be true, then it is not true. Hahaha, let's sell Alaska to China to get rid of Palin. most people here do not know what they are talking about. Graph 1-2: Over the long run the “Trickle-down effect” works. Figure 2-1 China: Percentage of Rural Households Grouped by per Capita Annual Income. Figure 2-2 China: Wage Income of Rural Residents vs. Urban Residents. There must be more data like that out there. In the past, the "Trickle-down effect" worked in the long run. While it may be true that the rich get richer, the poor are getting richer too. The nation gets richer as a whole, not just as a few wealth individuals. It may not work in the future if trickling-down is simply not good or not good enough in the future. Think about the crazy stock price before 2000, the crazy PE ratio, those overnight richeses, where did those money go? invested in this failed market, but where were those money from? real production and manufacturing? A quick question: are these numbers adjusted by inflation rates? I can hear that Karl Max laughing from underground. Deregulation is the problem and regulation is the solution? The fact is there was no deregulation in the banking industry in the last twenty years. In each of the first two presidential debates, Barack Obama claimed that "Republican deregulation" is responsible for the financial crisis. Most viewers probably accepted this idea, especially because Republicans generally do favor deregulation. But one essential fact was missing from the senator's narrative: While there has been significant deregulation in the U.S. economy during the last 30 years, none of it has occurred in the financial sector. Indeed, the only significant legislation with any effect on financial risk-taking was the Federal Deposit Insurance Corporation Improvement Act of 1991, adopted during the first Bush administration in the wake of the collapse of the savings and loans (S&Ls). FDICIA, however, substantially tightened commercial bank and S&L regulations, including prompt corrective action when a bank's capital declines below adequate levels and severe personal fines if management violates laws or regulations. If Sen. Obama had been asked for an example of "Republican deregulation," he would probably have cited the Gramm-Leach-Bliley Act of 1999 (GLBA), which has become a popular target for Democrats searching for something to pin on the GOP. This is puzzling. The bill's key sponsors were indeed Republicans, but the bill was supported by the Clinton administration and signed by President Clinton. The GLBA's "repeal" of a portion of the Glass-Steagall Act of 1933 is said to have somehow contributed to the current financial meltdown. Nonsense. Adopted early in the New Deal, the Glass-Steagall Act separated investment and commercial banking. It prohibited commercial banks from underwriting or dealing in securities, and from affiliating with firms that engaged principally in that business. The GLBA repealed only the second of these provisions, allowing banks and securities firms to be affiliated under the same holding company. Thus J.P. Morgan Chase was able to acquire Bear Stearns, and Bank of America could acquire Merrill Lynch. Nevertheless, banks themselves were and still are prohibited from underwriting or dealing in securities. Allowing banks and securities firms to affiliate under the same holding company has had no effect on the current financial crisis. None of the investment banks that have gotten into trouble -- Bear, Lehman, Merrill, Goldman or Morgan Stanley -- were affiliated with commercial banks. And none of the banks that have major securities affiliates -- Citibank, Bank of America, and J.P. Morgan Chase, to name a few -- are among the banks that have thus far encountered serious financial problems. Indeed, the ability of these banks to diversify into nonbanking activities has been a source of their strength. 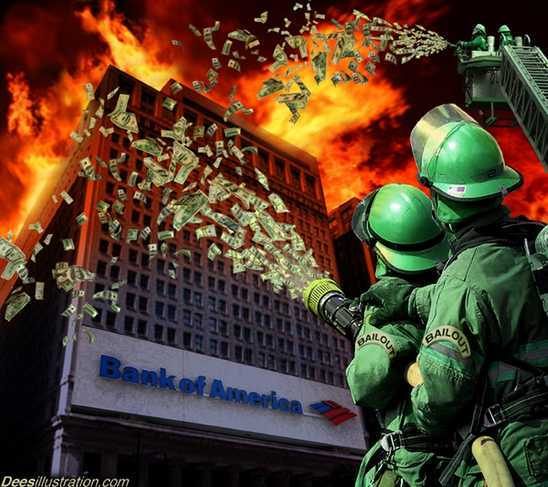 Most important, the banks that have succumbed to financial problems -- Wachovia, Washington Mutual and IndyMac, among others -- got into trouble by investing in bad mortgages or mortgage-backed securities, not because of the securities activities of an affiliated securities firm. Federal Reserve regulations significantly restrict transactions between banks and their affiliates. If Sen. Obama were truly looking for a kind of deregulation that might be responsible for the current financial crisis, he need only look back to 1998, when the Clinton administration ruled that Fannie Mae and Freddie Mac could satisfy their affordable housing obligations by purchasing subprime mortgages. This ultimately made it possible for Fannie and Freddie to add a trillion dollars in junk loans to their balance sheets. This led to their own collapse, and to the development of a market in these mortgages that is the source of the financial crisis we are wrestling with today. Finally, on the matter of deregulation and the financial crisis, Sen. Obama should consider his own complicity in the failure of Congress to adopt legislation that might have prevented the subprime meltdown. In the summer of 2005, a bill emerged from the Senate Banking Committee that considerably tightened regulations on Fannie and Freddie, including controls over their capital and their ability to hold portfolios of mortgages or mortgage-backed securities. All the Republicans voted for the bill in committee; all the Democrats voted against it. To get the bill to a vote in the Senate, a few Democratic votes were necessary to limit debate. This was a time for the leadership Sen. Obama says he can offer, but neither he nor any other Democrat stepped forward. Instead, by his own account, Mr. Obama wrote a letter to the Treasury Secretary, allegedly putting himself on record that subprime loans were dangerous and had to be dealt with. This is revealing; if true, it indicates Sen. Obama knew there was a problem with subprime lending -- but was unwilling to confront his own party by pressing for legislation to control it. As a demonstration of character and leadership capacity, it bears a strong resemblance to something else in Sen. Obama's past: voting present. It just happened I watched the 'Morning Joe' other day, that host Joe who is a republican brought the exactly same question, one mortgage expert (not Obama's supporter) explained why Obama's vote was right at that monent. Deregulation is the problem and regulation is the solution? We all hope things can be as simple as that. Unfortunately, we will continue to make mistakes but hopfully, smaller and less painful. The fact is there was no deregulation in the banking industry in the last twenty years. This statement is categorically incorrect. 不错。这篇贴子让我长了一点见识。美国和英国有些专栏写手，just got wonderful common sense，知道如何澄清历史和事实。听这口气，de-regulation是否存在过都不是一件明确的事情，却有无数人在说需要regualtion。how, and regulate what exactly? Peter J. Wallison is NOT a regular commentator. He is one of the chief architect of deregulation trend started in the early 80's. In another word, his work is one of the reasons to get us all the mess today. A codirector of AEI’s program on financial markets deregulation, Wallison studies banking, insurance, and Wall Street regulation. As general counsel of the U.S. Treasury department, he had a significant role in the development of the Reagan administration’s proposals for the deregulation of the financial services industry. He was also general counsel of the Depository Institutions Deregulation Committee and later served as White House counsel to President Ronald Reagan. AEI is for American Enterprise Institute for Public Policy Research, one the major house for neocons. Bush has faithfully derived alomost every piece of its public policies from AEI, including the Iraq War. Care to expound on that? The only deregulation that I know is the repeal of "Glass-Steagall Act " in 1998. For those laymen, "Glass-Steagall Act " forbids the commerical banks from doing investment banking. If "Glass-Steagall Act " was still in place, then the situation is probably much worse. For one thing, merril lynch probably would have been bankrupt. I have written two small articles to account my personal view toward the crisis.If you are interested, here's the link. My answer to your question should be mostly there. I didn't post the link before because I am unfamiliar with rules and "regulations" here. The last thing I want here is to be regarded as self-promoting. 当恐惧压过了理智, all birds flying away at one time; they don't fly away in an orderly queue, one by one - so if there is anyting called mathmatics-like, or anything called financial tools, it should describe its boundary conditions for that tool, or that equation. Not only list those non-sense assumptions. 我对这个说法也深有同感。:) 但这是可以理解的。狐狸和老虎要成为一个team，才能占尽便宜。Actually we got to admit it's a good team work. 我本来对经济就是外行, 我认为经济问题比火箭科学要难. 经济中的金融就更复杂更难. 在讨论经济问题时候, 把意识形态上的东西和技术上的东西尽量分开一些可以便于了解事实真相(我是说尽量, 根本上我知道不可能彻底地分开政经).现在正逢大选. 政治家不分开它们, 有他们的理由, 都想利用某一经济事件或者经济数据说明自己的政治主张多么正确,从而获得political gain. 媒体的报道总是在新闻层次上, 避免不了肤浅的.新闻记者只负责及时全面准确,没有能力负责深度. 即使有些媒体也分析,但一上来就是贪婪什么的. 谁又不贪婪呢? 这不是和说人都是自私的一样吗.太简单了. 要不就是穷人富人之说. 又太煽情了. 我现实中认识的几个真正的穷人和穷学生. 说实在的, 没有一个关心金融危机的. 真正关注和担忧的是要么是401K损失惨重的, 要么是刚买了几年房子的,要么是有股票的人, 这些所谓中产阶级,一些小翁,小财主. 政治和媒体对我们了解事实既有参考也有干扰. 你提供的两篇之作没有什么政治或新闻炒做色彩,就事论事,只有参考没有干扰,很值得欣赏. 我想不妨就以你的文章作为讨论的线索,看看我们大家能聊多久后再来控诉布什,罪恶的华尔街和万恶的资本主义. 我大概查了一下. mark-to-the-market是Enron, Worldcom事件之后,国会采取的regulation的措施之一. 用于管理股票起作用. 现在看它管理房地产证券的,是不是有问题? 假如, 我住的社区的房子都是在20万左右.房屋市场冷淡. 但我的邻居, 由于某种原因, 10万的价格就把房子卖了. 剩下的我们这些房子的价格马上都mark-to-10万了, 是这样的吗? 如果是这样, 我可以想象这种regulation 显然有问题. 问题不是针对股票买卖, 而是房屋买卖.在房地产证券这一点上, 应该deregulation,去掉这一管制,让我们的房子继续保持20万的帐面价格(当然, 我们当中明天谁又要卖房子了,也许只能卖到10万, 甚至8万). 你的看法如何? 还有，62万亿是 liability，一开始合同上是多少，最后还是多少，不知他怎么炒的。变动的是 premium 和 collateral. Becker was ranked #36 in the World's Top 100 Public Intellectuals by Prospect/Foreign Policy in 2005. On Sunday of this past week Merrill Lynch agreed to sell itself to Bank America, on Monday Lehman Brothers, a venerable major Wall Street investment bank, went into the largest bankruptcy in American history, while Tuesday saw the federal government partial takeover of AIG insurance company, one of the largest business insurers in the world. Instead of calming financial markets, these moves helped precipitate a complete collapse on Wednesday and Thursday of the market for short-term capital. It became virtually impossible to borrow money, and carrying costs shot through the roof. The Libor, or London interbank, lending rate sharply increased, as banks worldwide were reluctant to lend money. The rate on American treasury bills, and on short-term interest rates in Japan, even became negative for a while, as investors desperately looked for a safe haven in short term government bills. The Treasury" extended deposit insurance to money market funds-without the $100,000 limit on deposit insurance. The Fed also began to take lower grade commercial paper as collateral for loans to investment and commercial banks, and the Treasury encouraged Fannie Mae and Freddie Mac to continue to purchase mortgage backed securities. Is this the final "Crisis of Global Capitalism"- to borrow the title of a book by George Soros written shortly after the Asian financial crisis of 1997-98? The crisis that kills capitalism has been said to happen during every major recession and financial crisis ever since Karl Marx prophesized the collapse of capitalism in the middle of the 19th century. Although I admit to having greatly underestimated the severity of this financial crisis, I am confident that sizable world economic growth will resume under a mainly capitalist world economy. Consider, for example, that in the decade after Soros' and others predictions of the collapse of global capitalism following the Asian crisis in the 1990s, both world GDP and world trade experienced unprecedented growth. The South Korean economy, for example, was pummeled during that crisis, but has had significant economic growth ever since. I expect robust world economic growth to resume once we are over the current severe financial difficulties. 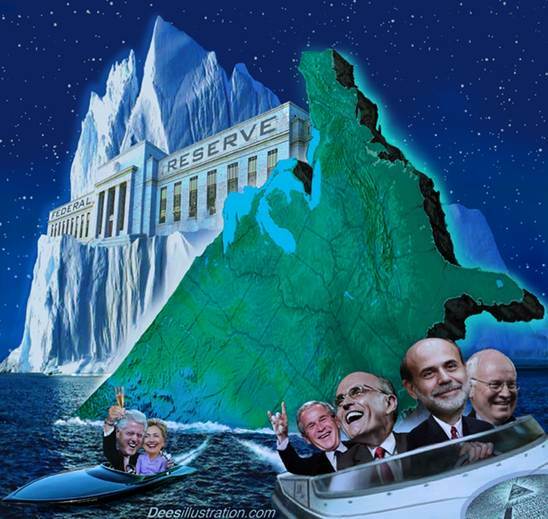 Was the extent of the Treasury's and Fed's involvement in financial markets during the past several weeks justified? Certainly there was a widespread belief during this week among both government officials and participants in financial markets that short-term capital markets completely broke down. Not only Lehman, but also Goldman Sachs, Stanley Morgan, and other banks were also in serious trouble. Despite my deep concerns about having so much greater government control over financial transactions, I have reluctantly concluded that substantial intervention was justified to avoid a major short-term collapse of the financial system that could push the world economy into a major depression. Still, we have to consider potential risks of these governmental actions. Taxpayers may be stuck with hundreds of billions, and perhaps more than a trillion, dollars of losses from the various insurance and other government commitments. Although the media has amde much of this possibility through headlines like "$750 billion bailout", that magnitude of loss is highly unlikely as long as the economy does not fall into a sustained major depression. I consider such a depression highly unlikely. Indeed, the government may well make money on its actions, just as the Resolution Trust Corporation that took over many saving and loan banks during the 1980s crisis did not lose much, if any, money. By buying assets when they are depressed and waiting out the crisis, there may be a profit on these assets when they are finally sold back to the private sector. Making money does not mean the government involvements were wise, but the likely losses to taxpayers are being greatly exaggerated. Future moral hazards created by these actions are certainly worrisome. On the one hand, the equity of stockholders and of management in Fannie and Freddie, Bears Stern, AIG, and Lehman Brothers have been almost completely wiped out, so they were not spared major losses. On the other hand, that makes it difficult to raise additional equity for companies in trouble because suppliers of equity would expect their capital to be wiped out in any future forced governmental assistance program. Furthermore, that bondholders in Bears Stern and these other companies were almost completely protected implies that future financing will be biased toward bonds and away from equities since bondholders will expect protections against governmental responses to future adversities that are not available to equity participants. Although the government was apparently concerned that foreign central banks were major holders of the bonds of the Freddies, I believe it was unwise to give them and other bondholders such full protection. The full insurance of money market funds at investment banks also raises serious moral hazard risks. Since such insurance is unlikely to be just temporary, these banks will have an incentive to take greater risks in their investments because their short-term liabilities in money market funds of depositors would have complete governmental protection. This type of protection was a major factor in the savings and loan crisis, and it could be of even greater significance in the much larger investment banking sector. Various other mistakes were made in government actions in financial markets during the past several weeks. Banning short sales during this week is an example of a perennial approach to difficulties in financial markets and elsewhere; namely, "shoot the messenger". Short sales did not cause the crisis, but reflect beliefs about how long the slide will continue. Trying to prevent these beliefs from being expressed suppresses useful information, and also creates serious problems for many hedge funds that use short sales to hedge other risks. Their ban can also cause greater panic in other markets. Potential political risks of these actions are also looming. The two Freddies should before long be either closed down, or made completely private with no governmental insurance protection of their lending activities. Their heavy involvement in the mortgage backed securities markets were one cause of the excessive financing of home mortgages. I fear, however, that Congress will eventually recreate these companies in more or less their old form, with a mission to continue to artificially expand the market for mortgages. New regulations of financial transactions are a certainty, but whether overall they will help rather than hinder the functioning of capital markets is far from clear. For example, Professor Shimizu of Hitotsubashi University has recently shown that the Bank of International Settlement (BIS) regulation on the required minimum ratio of bank capital to their assets was completely misleading in predicting which Japanese banks got into trouble during that country's financial crisis of the 1990s. Other misguided regulations, such as permanent restrictions on short sales, or discouragement of securitization of assets, will both reduce the efficiency of financial markets in the United States, and they will shift even larger amounts of financial transactions to London, Shanghai, Tokyo, Dubai, and other financial centers. Finally, the magnitude of this crisis must be placed in perspective. Although it is the most severe financial crisis since the Great Depression of the 1930s, it is a far far smaller crisis, especially in terms of the effects on output and employment. The United States had about 25 percent unemployment during most of the decade from 1931 until 1941, and sharp falls in GDP. Other countries experienced economic difficulties of a similar magnitude. American GDP so far during this crisis has essentially not yet fallen, and unemployment has reached only about 61/2 percent. Both figures are likely to get considerably worse, but they will nowhere approach those of the 1930s. These are exciting and troubling economic times for an economist-the general public can use less of both! Financial markets have been seriously wounded, and derivatives and other modern financial instruments have come under a dark cloud of suspicion. That suspicion is somewhat deserved since even major players in financial markets did not really understand what they were doing. Still, these instruments have usually been enormously valuable in lubricating asset markets, in furthering economic growth, and in creating economic value. Reforms may well be necessary, but we should be careful not to throttle the legitimate functions of these powerful instruments of modern finance. In considering what needs to be done to improve the functioning of the financial system, it is necessary to distinguish steps to avoid a major depression in the near term from long run reforms of the financial system. The Paulson Plan naturally concentrates on the very real short run emergency. I first discuss this plan and other suggestions, and then briefly consider long-term reforms. The Treasury's announced insurance of all money market funds carries considerable moral hazard risks, but it has not aroused much controversy. The Paulson Plan goes much further and involves purchases from banks of up to $750 billion of assets that have uncertain worth. I say uncertain worth since there is essentially no market for many of these assets, and hence no market pricing of them. The government hopes to create this market through using reverse auctions. In these auctions, banks would offer their assets at particular prices, and the government would decide whether to buy them. This part of the Plan has been heavily criticized because it gives great discretion to the Treasury Secretary since the total value of the assets that would be purchased at this point is not known. In addition, many are repelled by the intention to bail out companies and their executives who made decisions that got the companies into trouble. There is also much concern about the moral hazard consequences for the future behavior of banks if they are led to expect to get rescued by the government when their investments turn sour. While I find helping these banks highly distasteful, moral hazard concerns should be put aside temporarily when the whole short term credit system is close to a complete collapse. However, the proposed Plan does indicate, as I suggested in an earlier post (April 28, 2008), that the $29 billion bailout of the bondholders of Bear Stearns in March was a mistake. It probably did have a moral hazard effect by encouraging Lehman brothers and other investment banks to delay in raising more capital because they too expected to be helped if times got much worst. The agreement apparently just reached between Congress and the White House does allow the government to purchase distressed assets up to about $700 billion- I would have preferred a considerably smaller initial limit. It does have a provision for Congressional oversight of the Treasury's use of the funds, whatever that is worth, and has several other features as well. For example, it includes pay limits for executives whose firms seek government help. That is too much micromanagement of the operations of these banks, even though no one can think much of executives who led their banks into such a mess. I am also not enamored of the apparent provision that gives the government an equity stake in some banks that they help if these banks should prosper. It is unwise to allow governments in general to have equity interests in private companies, particularly if this equity gives them voting rights on company policies. Perhaps inevitably, this did occur in the AIG bailout. Many examples in recent history, such as the current Alitalia fiasco, show that political interests outweigh economic ones when governments have partial ownership of alleged private companies. The agreement appears to require the government to use their new ownership of distressed mortgage-backed securities to reduce home foreclosures. Homeowners as well as bankers should have known that the insanely good times in the housing and mortgage markets could not last forever. However, consumers are less well informed about financial matters and housing pricing than are the supposed expert executives at banks. Helping homeowners also uses taxpayers money, but in a way that would generally aid people with modest to moderate incomes. Indirectly, moreover, it would also help banks by increasing the value of the mortgage-backed securities they hold. One suggested supplement to the Paulson Plan is to require investment banks and other financial institutions to raise additional capital now, so that they have resources to start widespread lending again. Such a requirement would be unwise since banks that can raise capital readily are already doing so, as illustrated by Warren Buffet's investment in Goldman Sachs, and Mitsubishi's purchase of a stake in Morgan Stanley. Were such a requirement imposed, weaker banks might cut their lending even further in the attempt to increase their liquid capital. Milton Friedman and Anna Schwartz argue convincingly in their Monetary History of the United States that the Fed's raising of reserve requirements for commercial banks during the mid-1930s contributed to a prolonging of the Great Depression. For it induced these banks to further contract their lending in order to gain the liquid assets that were removed by higher reserve requirements. The main problem with the modern financial system based on widespread use of derivatives and securitization is that while financial specialists understand how individual assets function, even they have little understanding of how the whole incredibly complex financial system operates when exposed to various types of stress. In light of such ignorance of the financial system's mode of operation, it is difficult to propose long-term reforms. Still, a few seem reasonably likely to reduce the probability of future financial crises. The capital requirements of banks relative to assets might be increased, so that the highly leveraged ratios of assets to capital in financial institutions during the past several years would become less common. Possibly a minimum ratio of capital to assets should be imposed by the Fed on investment banks and money funds. As much as possible, the measure of capital should be market, not book, value, such as the market value of publicly traded shares of banks. My discussion last week indicated that book value measures badly missed the plight of Japanese banks during their decade-long banking crisis of the 1990s. The government should as quickly as possible sell Freddie Mac and Fannie Mae to fully private companies that receive no government insurance or other help. These two giants did not cause the housing mess, but in recent years they surely greatly contributed to it, partly through Congressional pressure on them to increase their purchases of sub prime loans. They owned or guaranteed almost half of the $12 trillion in outstanding mortgages with less than $100 million of capital. The housing market already has excessive amounts of government subsidies, such as from the tax exemption of interest on mortgages, and should not have government sponsored enterprises that insure mortgage-backed securities. Finally, the "too big to fail" approach to banks and other companies should be abandoned as new long-term financial policies are developed. Such an approach is inconsistent with a free market economy. It also has caused dubious company bailouts in the past, such as the large government loan years ago to Chrysler, a company that remained weak and should have been allowed to go into bankruptcy. All the American auto companies are now asking for handouts too since they cannot compete against Japanese, Korean, and German carmakers. They will probably get these subsidies, even though these American companies have been badly managed. A "too many to fail" principle, as in the present financial crisis, may still be necessary on hopefully rare occasions, but failure of badly run big financial and other companies is healthy and indeed necessary for the survival of a robust free enterprise competitive system. The Federal government of the United States has seldom taken an equity interest in private companies, although this has been proposed sometimes, especially as a way to get higher returns on social security assets. However, the new financial bailout bill provides not only for the government to buy assets from banks, but that it also take an equity stake in the banks being helped. The purpose is to protect the government from paying too much for the many difficult to value assets that are acquired. The thinking is that if they overpay for some assets, they can make that back through a rise in the value of the stock or other equity interest that they would have. However, the main purpose of the buyout is to increase the liquidity of the banking system and thereby reduce the banking system’s retreat from riskier investments. Yet the government's actions regarding an equity interest seem to be based on a fear that it will be outsmarted in the prices it pays for assets that are very difficult to value because they have no market. Whether the government will lose after the fact is not clear since it can afford to hold the assets to maturity. Moreover, taking an equity interest is also unnecessary in order to protect taxpayers from overpaying. Modern auction theory offers various ways to induce sellers (or buyers) of assets and other objects to "tell the truth"; that is, to bid their best estimate of an asset's worth. In using auction to buy bank assets it would be helpful if the government did not automatically take all assets offered by banks, so that banks have to compete against each other. Competition can also be increased by spreading the auctions out over time (I am indebted to my colleague Phil Reny for useful comments on optimal auction design). To be sure, the seller's estimates of the worth of their assets may turn out to be wrong, so the government would bear some risk. However, with an optimal auction mechanism design, the government need not fear grossly overpaying ex ante for the assets they acquire. Even if the government were to lose money on this buyout, it is a bad precedent for it to take an equity interest in private companies. Inevitably, this leads to government involvement in business decisions and corporate governance. Experience shows that political rather than economic criteria tend to dominate in the pressures exerted by government shareholders on corporate decisions. This is already reflected in the bailout bill since it limits compensation for executives, including "golden parachutes" for executives of the companies helped. One can hardly have a high opinion of the executives who led such venerable institutions as Merrill Lynch and Lehman Brothers, and many other banks, into investment portfolios with such poor capacity to withstand a financial disturbance. Still, many of these executives have lost most of their very considerable fortunes since they usually owned or had options on many shares of their companies, and these shares have plummeted in price. It is appropriate that top executives suffer major losses when their companies collapse. There is no good reason, however, for the government to interfere and impose limits on salaries and severance pay. Controls over wages and salaries have never worked well, and only encourage myriad ways to get around them, including generous housing allowances, vacation homes, easy access to private planes, large pensions, and other fringe benefits. There develops a war between the government's closing of loopholes, and the ingenuity of accountants and lawyers in finding new ones. Governmental ownership of shares, with or without voting rights, opens up possibilities for much greater mischief than controlling executive salaries. For example, a bank or other company may want to reduce its employment in order to regain greater profitability. The government owners of these shares will be under pressure from congressman and senators who represent districts where employment would be affected to try to rescind or modify these cuts. Even without government ownership, congressmen protest corporate efforts to shift various activities overseas because labor and other resources are cheaper there. Such objections will be magnified when governments have direct equity stakes. There are many illustrations of the bad influence on corporate governance exerted by the governments of France, Italy, Russia, and many other countries that own shares in private companies. One current appalling example is the situation of Alitalia Airlines, where the government owns almost half the stock. This has been a very inefficiently run airline that is hostage among others to powerful unions. Strikes have been common, flights frequently takeoff and arrive quite late, and baggage losses are high- experienced travelers try hard to avoid using Alitalia. Since Alitalia's command of routes into and out of Italy has market value, stronger European Airlines, such as Air France and Lufthansa, have wanted to take this airline over. However, the Italian government has resisted these efforts and continues to finance the sizeable monthly deficits of the airline. It fears the power of the unions who realize that many airline jobs at Alitalia will be lost if a more efficient airline takes charge. This and other examples of harmful government interference in the running of companies where they have an equity interest provides a very good lesson for the United States. Avoid taking any equity interest in private companies when buying assets of banks under the bailout bill, or when investing other government revenues. I will first make a couple of comments on the present situation. It is not yet obvious that the recent steps taken by the Fed and the Treasury have been "failures". One cannot make that determination when the $700 billion plan has not yet been tried, and the Treasury seems to be changing its mind about the approach to use. I agree with the argument in the recent article in the Wall Street Journal by Paul Volker, the distinguished former head of the Fed, that the Fed and Treasury have enough tools to end the financial panic, and to get investment by banks started again. To be sure, a recession is looming, but is this the biggest economic bust since the Great Depression? It is the biggest financial crisis since the 1930s, but the economic bust of the Great Depression meant a 25 percent unemployment rate for much of a decade, and sharp and sustained falls in GDP. While I expect unemployment to increase significantly from its present 6.1 percent level, and GDP to fall for a while, maybe sharply, there is little chance the downturn will approach anywhere near the 1930s levels. Perhaps it will be the most severe recession since then, although even that remains to be seen. Consider what happened in Japan during the 1990s when it had a widely discussed major financial crisis that lasted for a decade. Unlike the Great Depression, Japan's real GDP did not fall much but was mainly stagnant: the real value of its GDP was 430 billion yen in 1990, 462 billion yen in 1995, and 482 billion yen in 2000. Nothing in this stagnating Japanese experience approached the economic devastation of the 1930s. I believe we have learned how to avoid such a huge economic disaster, although a decade of world stagnation would be quite bad. To come to this week's blog topic, I also have a somewhat different take than Posner on why warning signals were ignored. The period since the early 1980s until the crisis erupted involved both rapid economic growth for most of the world, and unprecedented stability in this growth. Inflation rates were low and fluctuations in real output, as measured by the size and duration of recessions, were modest compared to the past. Economists and central bankers like Greenspan believed that we had learned how to keep inflation low, and also had the capacity to smooth out fluctuations in output and employment. The main Central Bank technique was inflation targeting, and a more general set of rules, called Taylor rules, that targeted a combination of the inflation rate and deviations of real output growth from its long term trend rate. These policies did work well for about 25 years, which created considerable confidence that they could handle future economic difficulties as well. This combination of growing central bank confidence in its ability to iron out various wrinkles in economic performance, and the belief that the new financial instruments would help manage and reduce risk, blinded the vast majority of economists (I include myself), bankers, and government regulators to the vulnerability of the whole system. This vulnerability was especially important for aggregate shocks akin to a classical run on banks. When institutions are highly leveraged, they have great difficulty coping with a massive loss of confidence in the system. 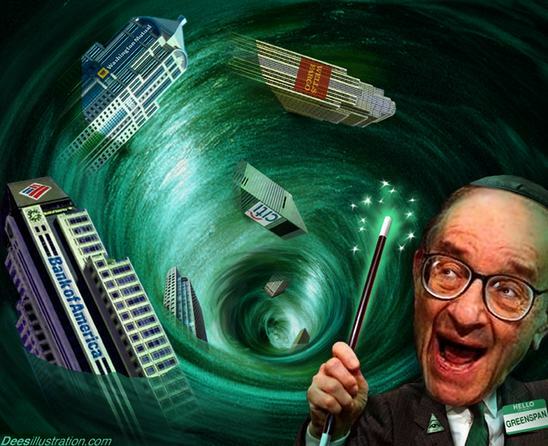 While Roubini and others who warned about weaknesses in the mortgage market and other parts of the financial system deserve credit for their foresight, experts predicted numerous disasters during the past several decades that never happened. For example, after the huge one-day stock market collapse in October 1987, Business Week and other magazines and newspapers warned that a Great Depression might soon be coming. I argued against that view in a column I published in Business Week the same week as the market crash (reprinted in The Economics of Life by Guity N. Becker and myself). These dire forecasts turned out to be completely wrong. Similar highly negative but wrong economic forecasts were made during the internet bubble, after the Asian financial crisis of 1997-98 (on this see my post of September 21st), the aftermath of the 9/11 attack, and after other periods of economic distress. In an atmosphere where the world economy showed great capacity to withstand difficult shocks, it is not at all surprising that some forecasts of disaster that turned out to be more correct were ignored. In addition, one should not minimize the great economic achievements of the past 25 years in the form of rapid growth in world GDP, low world inflation, and low unemployment in most countries. Perhaps these achievements will be overshadowed by a deep world recession, but that remains to be seen. If the impact of this financial crisis on the real economy is not both very severe and very prolonged, and time will answer that question, the combination of the past 21/2 decades of remarkable achievement, and the economic turbulence that followed, may still look good when placed in full historical perspective. No, because you already have an explaination in your mind. I don't, man. What I do have in my mind is as a matter of fact the witnessing of a man-made collapse. Due to the collpase, most of senior people would lose more than 1/2 of their life pension, which means after a life-long hard work, their living standard will be halved if they retire next year. You can say, I am really sorry, I don't know what happened; but you can't piss off us by saying: it happens. The fact is it doesn't need to happen. Derivatives can be very useful for hedging purpose. For example, the airline SouthWest has used derivatives to hedge the fluctuation in gas prices for the last ten years. And it did it very well so that that its earning has been positive in the last ten years in spite of rising gas prices. Warren Buffet is also a big seller of options. Recent he sold a lot put option on BNI, the rail road company. The main danger of derivatives is in those new, exotic credit derivatives, which are new, often mis-priced, and had not been put to stress tests until recently. Convertible bonds normally have embedded options and are very useful to attract investors who would like to participate in the upside of a stock. 你说的正是我试图理解的. 谢. 进一步说, 一般的股票市场就象河水,流动性(liquidity)强, 不容易结冰,MTM的原则对它们是可行的. 可是, 房地产之类的东西象是湖水, 流动性差. 它一旦结冰, 就象我们物理如分别用流体力学和固体力学的原则处理水和冰一样. 不同的状态我们必须要分别对待它们.问题的关键是如何在市场结冰状态下反映这个market 的真正value. 你说商行不用这个财会原则,可以理解. 至于投行,要我说, 看你投什么. 如果是投房地产, 也可以不用. 或者如果用, 至少要修改成一种能真实反映价值的market value. 另外, 不知道你知道不知道, 国会授权SEC主席在9月30日已经suspend了MTM. 我担心这又会顾此失彼. 让一些非房地产的股票公司钻类似Enron那样的空子. 是regulation 还是deregulation, 首先不要misregulation. ... 另外, 不知道你知道不知道, 国会授权SEC主席在9月30日已经suspend了MTM. 我担心这又会>顾此失彼. 让一些非房地产的股票公司钻类似Enron那样的空子. 是regulation 还是deregulation, >首先不要misregulation. Option and future contracts of any finance vehicle (e.g. Credit Detrivative Sawption is an option of Credit Derivative Swap) are examples of a zero-sum games (excluding expenses, every person who gains on a contract, there is a counter-party who loses.) Gambling too. However, financial market is not a zero-sum game, neither is a gamble. Of course, everyone can choose to believe whatever he/she wants to believe. Option and future contracts of any finance vehicle are examples of a zero-sum games (every person who gains on a contract, there is a counter-party who loses.) Gambling too. However financial market is not a sum zero game, either is a gamble. Of course, one can choose to believe whatever he wants to believe. My assumption is, if it doesn't lend out of itself, it got to be a "zero-sum" in ideal conditions - of course in reality it is worse than that, the "friction" is all the fees charged on it by those investment banks or brokers. If it does, then all those added value comes from other industries, or good borrowers. I bet there many PhD research on this topic, on the Yes side, on the No side, on how the market will shape going forward with changes of confidence from investors like you, etc., you may norminate yourself for the next Nobel economic award:-). "Need or not" in a free market will be determined by supply and demand. It's common sense, my lady. It doesn't need a phd, or nobel award which has to give out something to somebody every year, crap or not. Unfortunately, 'human race' has lost many common senses while the humane society is 'progressing' and becomes 'more civilized'. Enslaved, people are giving in to a matrix system controlled by machines, forgetting our own naked brains are far sophisticated and powerful than any machine man has ever built. Perhaps, traces and marks left from prehistorical civilizations were hints to us. Anyway, before the doomsday (of the physical realm), games continue, new games appear and gone, games rule changed, it is perfectly normal for one to stay in, join or quit the games, to comment the games, to cheer for the games, or/and to try to change the games. There are ways of living not from ego only. There are lives beyond this one. There are the ability to sense and see new ways, the tenacity to ride a rough roller-coaster and the patience to learn deep love over time. I hate to admit that I am hopelessly optimistic (unlike 浮生) to my fellow human beings -- especially you:). Rumsfeld's "Sometimes we know what we know and we don't know, but sometimes we don't know what we don't know .." speech deeply impressed me, too. Did they short put, naked? They are crazy. There are many derivatives strategies that can help people control risk. In their case, even they were bullish about aus$, they have a basket of strategies to chose. e.g. married put, bull call spread, etc. Even a long call would be much better. There is no reason other than ignorant and greedy that painted themselves into this corner . Or if you told me you were a developer for financial risk control, I guess I believe you >55% now. Obstetricians felt they were all laboring under a misconception. the scheme wouldn't hold water. Former staff member of the Commodity Futures Trading Commission, Michael Greenberger describes a credit swap in brief: "A credit default swap is a contract between two people, one of whom is giving insurance to the other that he will be paid in the event that a financial institution, or a financial instrument, fails. It is an insurance contract, but they've been very careful not to call it that because if it were insurance, it would be regulated. So they use a magic substitute word called a 'swap,' which by virtue of federal law is deregulated." Unfortunately, although defaults are rare they tend to occur at the same time and are usually highest during recessions. For example Moodys 2007 default study shows that between 2003 and 2007 just 2.6%(on average)of high yield debt defaulted. In order to ensure that a hedge fund or other company had sufficient funds to meet payouts in the event of default of high yield issuers they would need to put aside sufficient funds to cover an average of at least 2.6% defaults per year. A more conservative investor might put aside enough to cover defaults of 5%. However the more capital a fund puts aside to cover losses, the lower the potential returns. This encourages funds to use as little capital as possible. However in recessions defaults can climb much higher than 5%, and in 2002 over 22% of all oustanding high yield debt defaulted. With insufficient provisioning many financial institutions could fail. According to Moodys, defaults could exceed 10% in 2009 in the event of a US recession. If companies have not adequately provisioned for much higher defaults, then many such financial firms will fail. As the credit default swap market is not regulated, there is no offical body ensuring that sufficient capital is being put aside to cover potential losses. This increases the possibility of a failure of a large market counterparty and causing a systemic failure. 令狐先生，且不说阁下有意无意地将几个词从我说的一堆话中抽出来，组合出这样一个结论，究竟意味着什么；先生近日苦读专研，精神实在可嘉。不过先生还是漏掉了一个重要新闻：雷曼的CDS最终settle在92.X cents on the dollar, 换句话说，CDS的Buyer gets > 92% 的 principal back。Considering the circumstances, I would say it worked out better than I expected. That's not saying the CDS market is OK as it is. Indeed, it is a unregulated market where the reserve against the potential loss is often inadequate. That's making the CDS very dangerous in certain situations. 不过先生还是漏掉了一个重要新闻：雷曼的CDS最终settle在92.X cents on the dollar, 换句话说，CDS的Buyer gets > 92% 的 principal back。Considering the circumstances, I would say it worked out better than I expected. That's simply because Morgan and GS didn't default yet. The whole system didn't fall, and the default rate hasn't approached 10% yet. That's the point of above. I am one of them too. My concern is when I am going to use the last bullet before the market starts to stablize or head up.